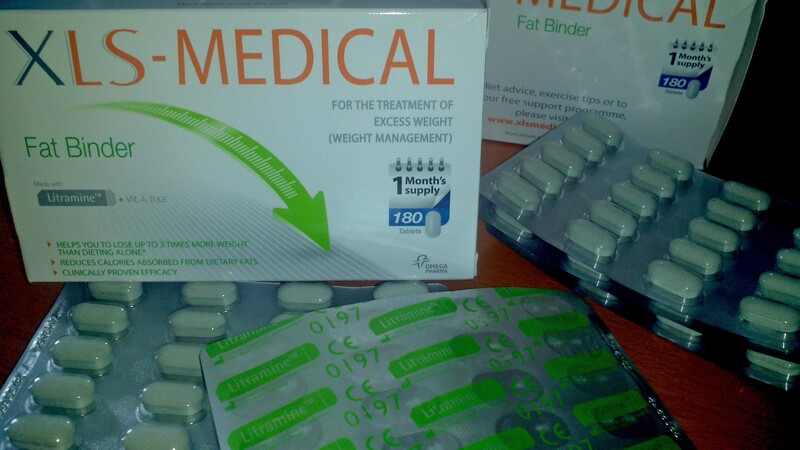 Thanks to Spreaditfast and Pharmacy2u today I am starting my journey with XLS Medical Fat Binder. I received two months supply of these tablets, so I will keep you updated on my progress. I measured and weighed myself and promised to watch what I am eating. I was never great with diets, simply because I could never stick to any routine, but I like what XLS has to offer, so I hope to see some results. So what is XLS Medical Fat Binder? XLS-medical fat binder is a scientifically proven innovative weight management product tailored to help you achieve your own desired weight loss with a healthy body mass index (BMI). With a healthy BMI you can overall improve your health and reduce the risk of any long term illness. XLS is designed to compliment your lifestyle to help you become a healthy eater and maintain your weight loss, as healthy eating is the foundation of weight management. With the help of XLS you will be able to reduce the absorption of calories from Fat and Carbohydrates and manage your appetite while you enjoy your meal and XLS can be taken discreetly so no one will know you are taking XLS. XLS medial fat binder is made with the clinically proven fat binder, Litramine and essential fat soluble Vitamins. XLS is clinically proven to bind dietary fats before it replenishes the body with fat soluble Vitamins. XLS is an effect weight management tool that helps you to reduce more weight than dieting and exercise alone thus proving to be a successful aid to your weight loss. XLS does not have any nasty side effects as reported to happen with other slimming products. XLS fat binder is a certified medical device product for the treatment and prevention of excess weight and general weight management. XLS uses Circadin technology to facilitate a sequential release of first Litramine and secondly fat soluble vitamins. Firstly the fibre complex Litramine binds readily with fat from food and becomes a large fat fibre complex. As the fat fibre complex is too large to be absorbed in the small intestine, it is eventually excreted from your body. After the fat binding phase, the essential fat soluble Vitamin A,D and E are released and absorbed in the body. This optimizes the availability of fat soluble vitamins for absorption by your body. Take 2-3 tablets with liquid immediately after each main meal. Do not exceed 6 tablets daily. * Product was provided by Pharmacy2u via Spreaditfast free of charge for review purposes. The opinions expressed in this review are honest and my own . I tried these to lose weight as they said it was to lose weight took them for 9 days going gym only drinking water lots of fruits & veg I did put on 3lbs when I was losing for over a month till I started them I got really sick, throwing up every day started to feel ill so I stopped taking them, I then started to throw up faeces (poo) had to be rushed to hospital as that’s a dangerous sign lucky I was seen & didn’t leave it as I could of died through the blocking in my stomach & pile up of poo so please don’t take them as it nearly ended my life could of killed me. Leanne those pills bind fat, so if you aren’t eating any they can’t work. They are diet supplement to help you lose weight and not a magic pill. I use them after fatty meals for years now. I am sorry to hear you had a dangerous experience with it, I hope you feeling better now.